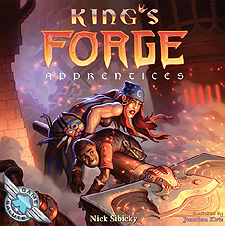 King's Forge: Apprentices is a modular expansion for King's Forge. Add any or all of the following to enhance your crafting experience! New Gather cards to increase the size and diversity of each game's Gather Deck. Expansion - Requires King's Forge to play.